Before there was Hack A Week, there was DinoFab. dinofab.com was my original website where I posted videos and projects I created. That site will be going offline soon so I’m moving some of it’s content over here to HAW. This is a fun project to make with the 555 chip. 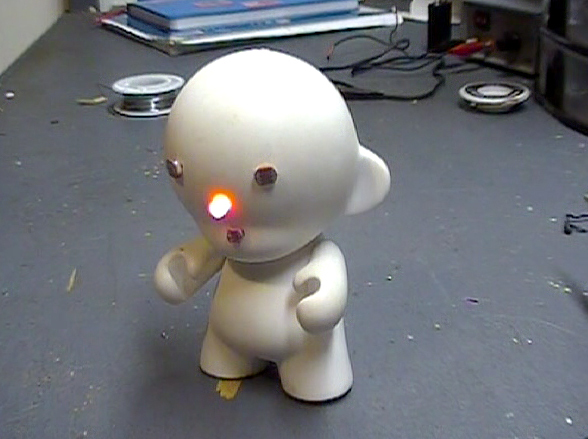 It can be built as a stand alone circuit or you can put it inside a doll, toy or whatever! Here’s how it works. 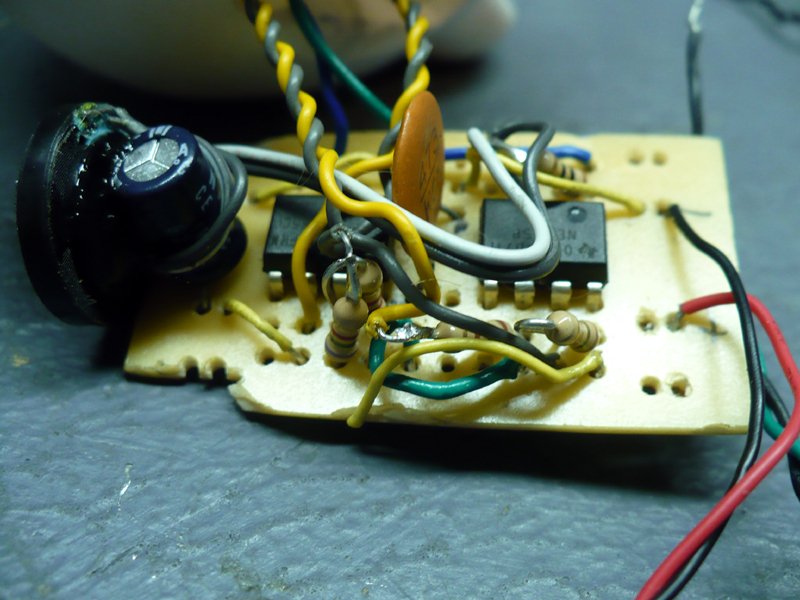 When it’s turned on, the 555 astable oscillators are activated. One will produce a high pitch squeal through the speaker and the other will blink the LED about twice per second. 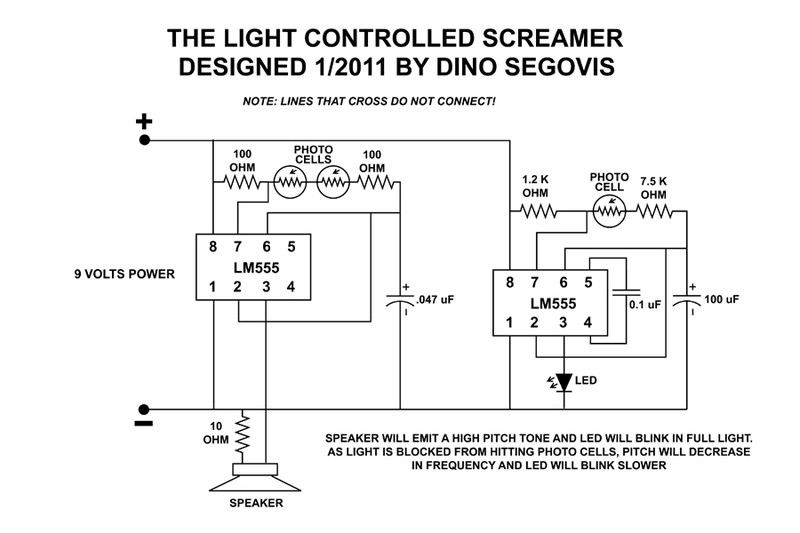 When you shield the photo cells from light, the frequency of the sound will decrease and the LED will blink slower. If you arrange the photo cells so that they are near the LED, some of the light from the LED will be reflected off whatever is shielding the photo cell. The photo cell will react to the light and raise the frequency while the LED is on, then go back to where it was when the LED is off. See the video below for a demonstration.